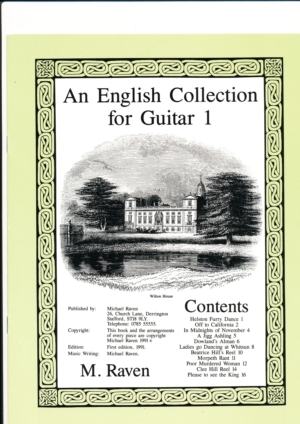 11 pieces for solo guitar. Titles include: Off to California * A Jigg Ashling * Beatrice Hill’s Reel * Dowland’s Alman * In Midnights of November * Helston Furry Dance * Ladies go dancing at Whitsun * Poor Murdered Woman * Clee *Morpeth Rant *Please to see the king . Easy to moderately difficult. Music printed in staff notation and tablature and is available on the CD MR75 Retrospective . A4 16 pages.